We are your replacement source for top quality furnace spares and fixtures. We have supplied for our clients a wide range of Furnace Fan, which is in high demand for efficiency, low power consumption and easy maintenance. These equipment are manufactured using quality material and are stringently tested to ensure high quality standards. We are dealing in Furnace Fans. 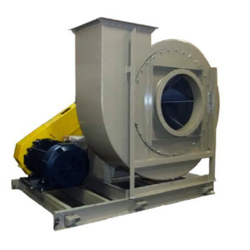 We offer a variety of options to our clients to fulfill all their needs regarding Furnace Fans of SS 310 construction. 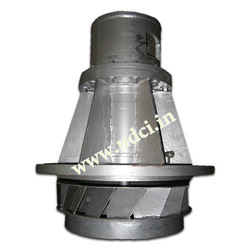 These fans are used for bigger capacity furnaces where operating temperatures are very high. They are perfectly suitable for heavy industrial uses. Vacuum fan for solvent printer, flex printer. can be use in VK, Colorjet and other leading printer machines. Our immense industry experience of offering an amazing array of Recirculation Fans has enabled us to offer Furnace Fans to our esteemed patrons. These are exclusively designed for annealing furnace applications and are ideal for vertical mounting recirculation. We use the best grade of basic raw materials and offer these at reasonable rates to our clients.